Since it’s my birthday this week and outside the window it’s snow white for the most part I thought I’d pick some happy party colors. Can’t get much happier than Bermuda Bay, Sweet Sugarplum and So Saffron. A bit of bright and a bit of subtle and a whole lot of new! Color challenges have no themes but given the week I wouldn’t say no to balloons and birthday cake. Especially if you live nearby! Go and be colorful! The white (paper or snow) will always be waiting for you when you are done. Boy oh boy I wish you could see this card in real life. Lots of shimmer and shine and texture. Sadly the camera just won’t really show it off though it tried its best in the detail shot. For this card I decided to do a mostly straight CASE of LeeAnn Greff and her tutorial on using reinkers & alcohol with the new Inside the Lines paper from Sale-a-Bration. I’ll let you check out her post for the paper measurements and details and her wonderful video. I changed things up a bit using Very Vanilla instead of Whisper White, different sentiments and colors and lastly a shot or three of homemade shimmer spray before the paper had fully dried. The spray is created with a half bottle of alcohol (at least 70% though more is better) and a a few spatula bits of SU’s previously sold Platinum Shimmer Paint. I found some on Amazon here. They even have a Copper version! 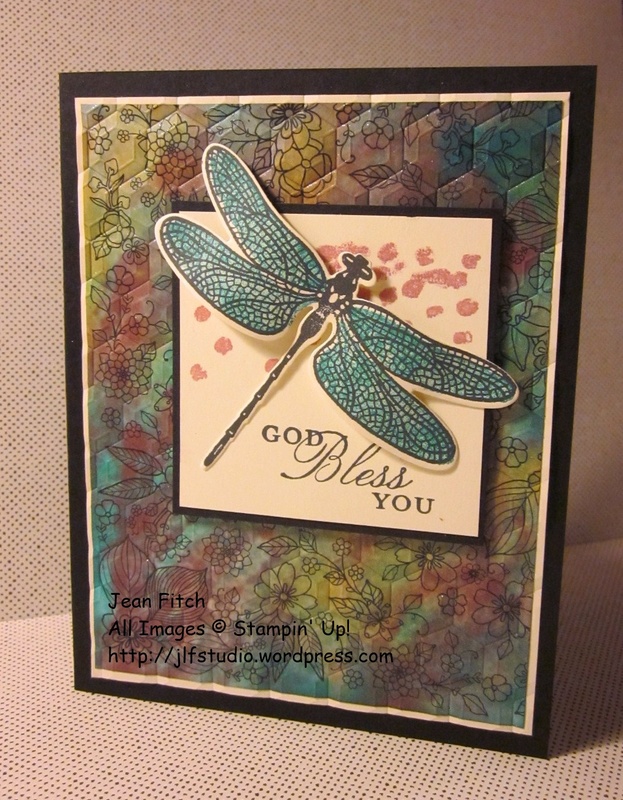 Tools & Adhesives: Big Shot, Detailed Dragonfly Thinlits Dies, Dimensionals, Bone Folder, Fast Fuse and a Clear Acrylic block or two. That’s it for this challenge. 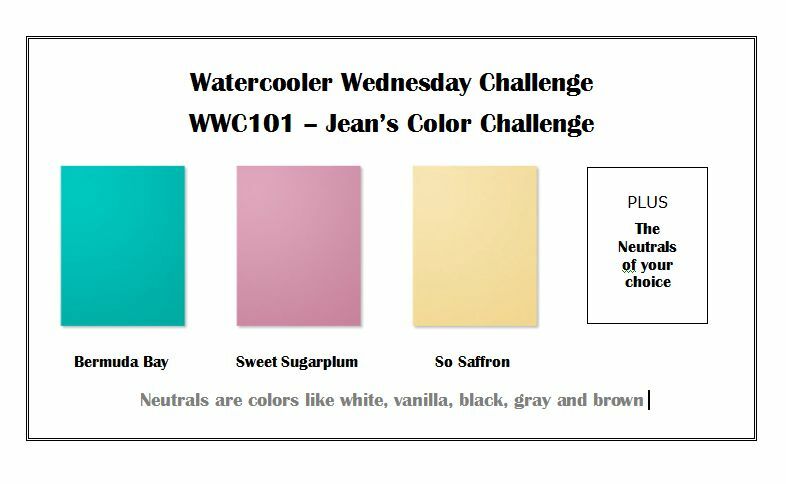 To see the rest of the design teams contributions to my color challenge head on over to the Challenge blog website here. That’s also where you can add your own creation with the linky doodad. When you add your own design and there are more than three entries, one of you will be a challenge winner or runner up and have the option to place our badges on your own site. Of course…you’ll also win bragging rights! Check here to see the winner of last weeks challenge. And here to see all of last weeks other linky and Artist Team entries. Check the challenge site for newly updated rules on competing for future challenges. Put a little color in your life this week. And join me in wishing Deb Smart well in all her new endeavors as she moves on from our Artist Group. Hi Jean, happy birthday!! Lots of wishes for a year of improving health, and many creative days to play. 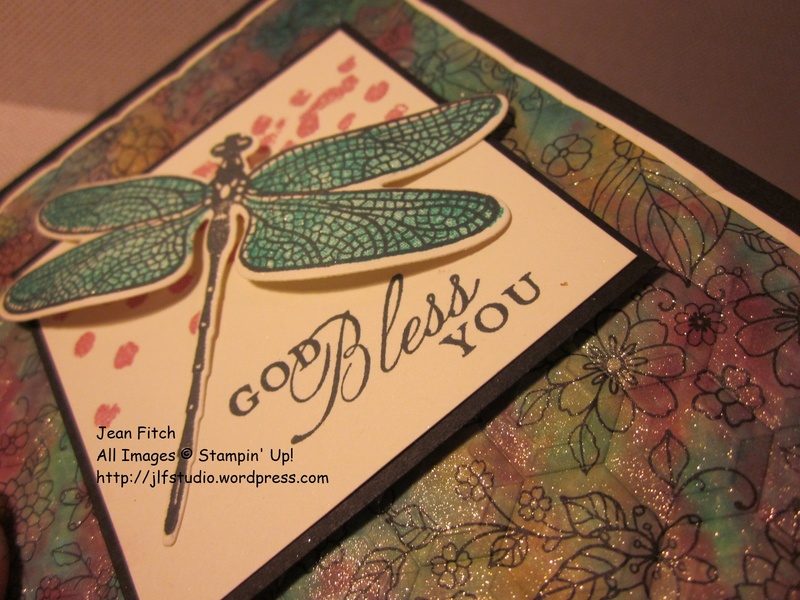 Your card is lovely with the shimmer and blending colors and a dragonfly beauty perched on the front. Thanks for sharing it with all of us. Just a note to wish you a happy birthday “week” and to say what a terrific colour challenge this is. Good choices in your colour mashup. 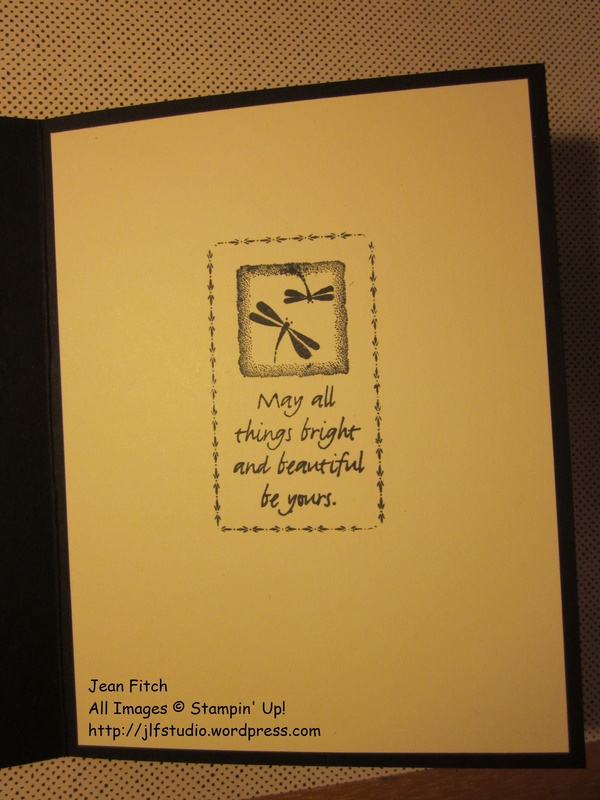 The mixture looks especially great with your background on this beautiful card. Thanks also to the link for Leanne. Loved her video and can see why you’d choose this CAS for a recreate in your own style. Beautiful. Beautiful soft colours making up a stunning background and feature dragonfly.